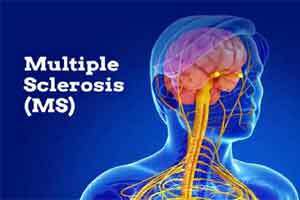 A type of treatment for multiple sclerosis that ‘resets’ the immune system may stop progression of the disease in nearly half of patients. The patient then receives high-dose chemotherapy that kills any remaining immune cells. The patient’s stem cells are then transfused back into their body to re-grow their immune system. Previous studies have suggested this ‘resets’ the immune system, and stops it from attacking the nerve cells. Dr Paolo Muraro, lead author of the study from the Department of Medicine at Imperial, explained that the risks must be weighed-up against the benefits: “We previously knew this treatment reboots or resets the immune system and that it carried risks but we didn’t know how long the benefits lasted. “In this study, which is the largest long-term follow-up study of this procedure, we’ve shown we can ‘freeze’ a patient’s disease and stop it from becoming worse, for up to five years. Dr Sorrel Bickley, Head of Biomedical Research at the MS Society, added: “This study is one of the largest to date looking at AHSCT as a treatment for MS and the findings offer some encouraging insights. It shows that AHSCT can slow or stop progression for many years, and the treatment is most effective in people with MS who have ‘active inflammation’ in their brain and spinal cord.